1) Hurrah. This is the last Sunday Tittle Tattle that will ever be affected by essays, MA research, anything involving copious amounts of reading or editing… The dissertation and 15,000 words of polished-up fiction is nearly complete. D-Day is Wednesday. 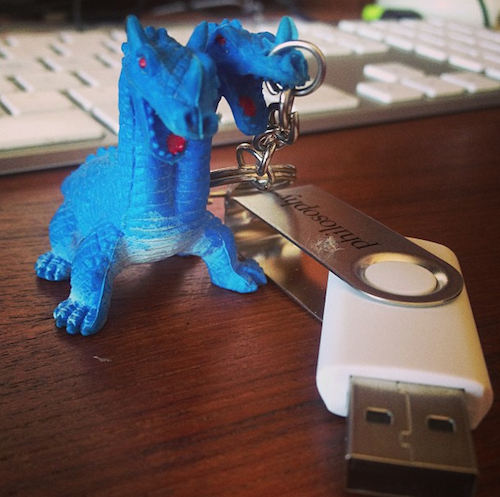 Everything is backed up on my little USB stick (above) and guarded by a plastic two-headed blue dragon. I’m covered in stress-hives and I’ve ground my teeth down to stumps, but I am getting there! Stay with me. 2) Short Tittle Tattle today, for obvious reasons – I leave you with the news that Mr Bear has been secretly eating elastic bands. I’m not sure whether there’s a medical name for this particular condition, but I must say that after vomiting three times he didn’t half BOUNCE BACK QUICKLY! Get it? Bounce back! 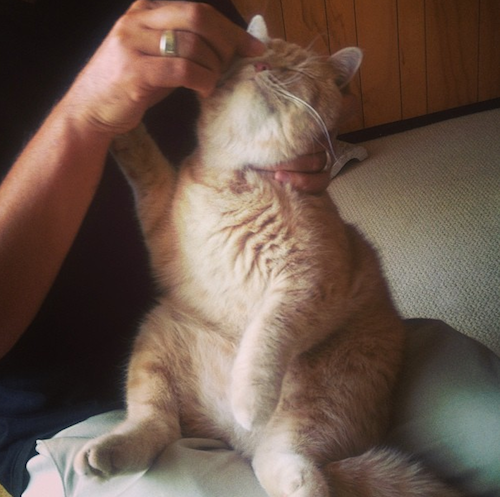 Never mind… Here he is (above) having his little sicky face cleaned up by Mr AMR. What a chubby popsicle!